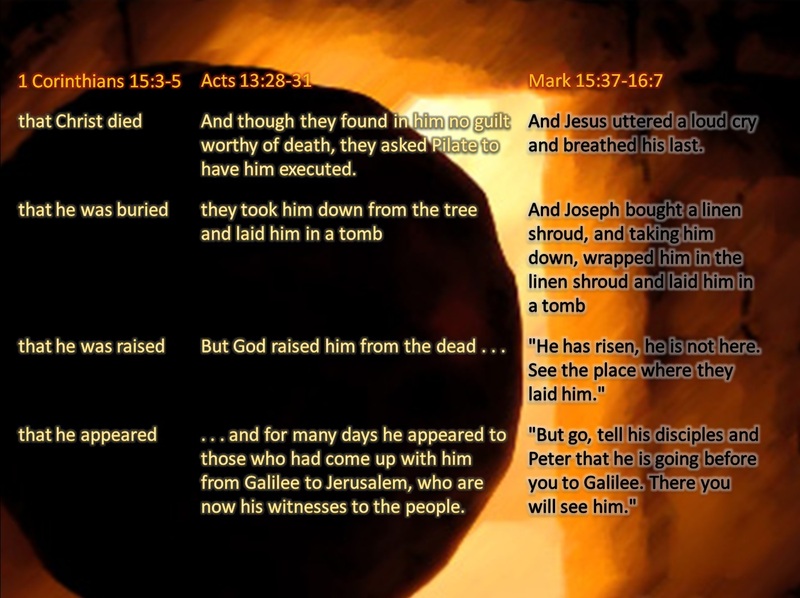 This video shows that the Deity of Christ is unmistakable. Undoubtedly, Jesus is fully God and truly Yahweh (Jehovah), King of kings and LORD of hosts, who came in the flesh to save and will come again to judge and reign forever. All glory be to our Lord. May He bless you all. I believe in the one and only true living God and Lord over all, the Eternal Unseen, the First and the Last, the great I AM who is and who was and who is to come (יהוה YHWH), LORD of hosts (YHWH Tsvaoth), God Almighty (El Shaddai), God Most High (El `Elyon), who exists in the person of the Father, of the Son and of the Holy Spirit, who as the Creator and Sustainer of heaven and earth, of all things visible and invisible, and the King of kings and Lord of lords is forever worthy of all praise and glory and power. Who revealed Himself decisively in the Person of the unique Son of God, Jesus (ישוע Yeshua) of Nazareth, the Word of God (λογος logos), Mighty God (El Gibbor), Prince of peace (Sar Shalom), the promised Christ (משיח Messiah), the awaited Saviour of the world, who was in the bosom of the Father before the creation of the world, who is the true Light, the Eternal Life, uncreated, fully God, truly LORD, being of one essence with the Father. Beside whom there is salvation in no one else, who, for the redemption of mankind, came down from heaven as the prophesied Son of Man and was incarnate by the Holy Spirit of the virgin Mary, and like a servant took on flesh and blood, being born truly and fully human, yet without sin, who as he walked with the Father in full obedience fulfilled the Law (Torah); and, becoming the Lamb of God, He suffered and shed his blood as a perfect atoning sacrifice for our sins, was buried in a tomb and rose again from the dead for victory and vindication on the third day vanquishing death, sin and evil once and for all and, ascended into heaven, now sits at the right hand of the Father, highly exalted above all; and He shall return, with eternal glory, to judge the quick and the dead; and His kingdom shall have no end. The Son is the radiance of the glory of God and the exact imprint of his nature, and he upholds the universe by the word of his power. Have you not known? Have you not heard? The LORD YHWH is the everlasting God, the Creator of the ends of the earth. You are the LORD YHWH, you alone. You have made heaven, the heaven of heavens, with all their host, the earth and all that is on it, the seas and all that is in them; and you preserve all of them; and the host of heaven worships you. The true light, which enlightens everyone, was coming into the world. He was in the world, and the world was made by him. Christ Jesus, who, being in very nature God, did not consider equality with God something to be grasped, but made himself nothing, taking the very nature of a servant, being made in human likeness. And now the LORD says, he who formed me from the womb to be his servant, to bring Jacob back to him; and that Israel might be gathered to him. And without controversy great is the mystery of godliness: [Christ] who was manifested in the flesh. Behold, the virgin shall be with child and shall give birth to a son, and they shall call his name Immanuel , which means “God with us”. For in Christ all the fullness of the Godhead lives in bodily form. He is the head over every power and authority. No one has ever seen God; the Only one, being God, who is in the bosom of the Father, he has made him known. … everyone who calls on the name of the LORD YHWH shall be saved. Bless the LORD, O my soul, and forget not all his benefits, who forgives all your iniquity, who heals all your diseases. He was in the world and the world was made by him and the world knew him not. Him who knew no sin, he made sin on our behalf, so that we may become the righteousness of God in him. Let them praise the name of the LORD, for his name alone is exalted; his majesty is above earth and heaven. Look unto me, and be ye saved, all the ends of the earth: for I am God, and there is none else. I have sworn by myself, the word is gone out of my mouth in righteousness, and shall not return, That unto me every knee shall bow, every tongue shall swear. This is what the LORD says— Israel’s King and Redeemer, the LORD Almighty: I am the first and I am the last; apart from me there is no God. Our loving God has inspired me to make a video series about Calvinism, predestination, God’s sovereignty and man’s free will. This is a preface. This series will first of all be for the glory of God and for the edification of your faith. It is my desire to give a Biblical frame of mind for those Christians who seem to have difficulty with making sense of predestination, election and free will in the Bible. Calvinism or Reformed theology, maybe you never thought about it, maybe you hate it, maybe you love it, but it’s about a minority group of Christians who adhere to the five doctrines of Calvinism. If you’ve never met one of them, all the better reason to watch this series and allow me to inform you about it in the coming videos. You might even ask, if it is only a minority group, why even bother? Well, as Bible believing Christians, we are called to examine or test everything what is said and to hold fast to what is good, examining the Scriptures to see if these things are so: “test everything that is said. Hold on to what is good.” (1 Thess 5:21 NLT), “they received the word with all eagerness, examining the Scriptures daily to see if these things were so.” (Acts 17:11). It is also out of love that I wish to show the truth to my Calvinist brothers and sisters. If you are a Calvinist and you love Jesus Christ as your Lord and Saviour, then you should know that I love you as my brother or sister in Christ. But I do disagree with you and I encourage you to watch this through and listen carefully to what is said. Remember the good saying: (Proverbs 18:13) “If one gives an answer before he hears, it is his folly and shame” and not mine. 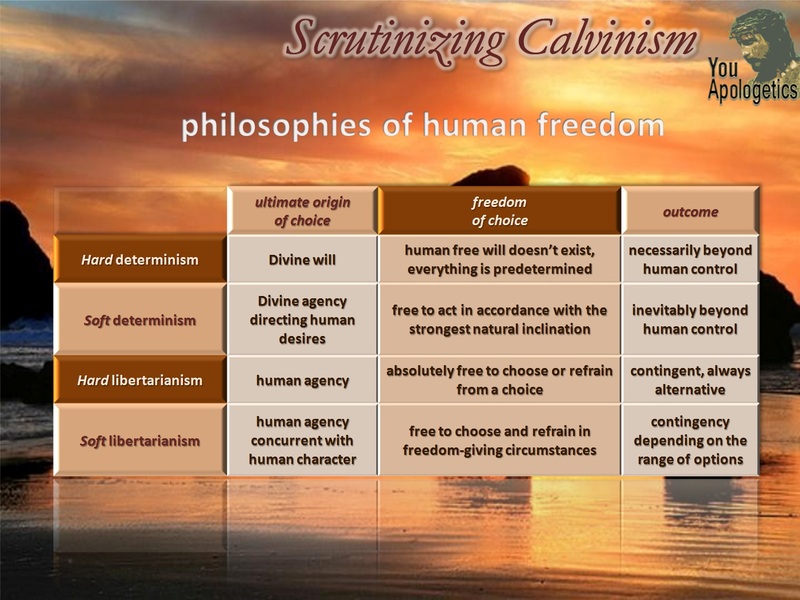 Predestination and free will are usually linked to belief systems or –isms such as Calvinism, Arminianism and Molinism, theological traditions that were named after their founders John Calvin, James Arminius and Luis de Molina. Most of you have probably never heard of them before. And as you’ll watch this series, you’ll get to know more about them and their traditions. As they’re said to be in direct conflict with each other, they seem to cause conflict among Christians who adhere to either view. And it is my experience that there is a lot of disagreement up to great tumult among Christians on predestination and free will. Calvinists, Arminians, Molinists, whatever people call themselves, all suppose that they adhere to the true doctrine of salvation. But which view is correct? Who’s right and who’s wrong? What is the truth? It has become an agonizing debate, honestly, a debate that’s going on for hundreds of years, even tearing Christian families apart. Of course, it has also spread to Youtube and has been going on for a while. When the emotions are running high, those who favour one view even go as far as to call the other a disease or poison, accusing each other of heresy and worshipping a false God. But heresy is a relative term. A teaching is heresy only if it is contrary to another teaching that is believed to be more authoritative. People who base their beliefs on councils, decrees and synods in the past should be reminded of the fact that the earliest Reformers themselves also taught doctrines that were in direct conflict with the established teachings of the Roman Catholic Church. Protestants are, in fact, Protesting Catholics and what they taught was again protested and proclaimed heresy by the Catholic Church. Similarly, Remonstrants or Arminians are Remonstrating Calvinists, protested and proclaimed heresy by the established Reformed Church. But, don’t get me wrong, I don’t believe that tradition is all together useless, quite the contrary, I think we should stick as close as possible to what the earliest Christians taught in accordance with Scripture, but we shouldn’t just take tradition for gospel. To speak in Reformed terms: Sola scriptura. Scripture alone is our authoritative teaching. God’s Word is the eternal and unchangeable Truth. And Truth is always consistent and reasonable. Only our faith in the Truth is changeable and fallible. As we reason from Scripture, it is our task as the church of the living God, as the body of Christ, as the pillar and ground of the truth to remain in the truth and to sustain it. In the meantime, it can be very confusing, even humiliating, when you see your brothers and sisters arguing over a topic like predestination and calling each other heretics or worshipers of false Gods. If you are as heartbroken as I am about this endless quarrel, you’ll agree with me that it’s not a good testimony toward seekers of Christ. Is Calvinism a way to understand the Bible? Yes. Is Calvinism the correct and truthful way to understand the Bible? No. Should we therefore show that it is wrong? Yes, but with brotherly love and respect. Name calling or anything below that won’t do anybody good and isn’t a healthy way of discussing these matters with each other. For God says that we should not speak vile of one another (Eph 4:29-30). I do not think it is an evil to discuss these matters with each other, no, we ought to point out the rights and wrongs in each other’s views, but it should be done in a peaceful and respectful way, lest we’d grieve the Holy Spirit. So let’s agree that whatever convictions on this issue we might have, we will not call brothers in Christ heretics. Anyone who believes that Jesus is the risen Lord and Saviour and is born again in the Holy Spirit is not a heretic, but a precious child of God. Let those quarrelsome people who delight in theological conflicts, do whatever they like, but you and I, let’s hold onto the truth in peace, since we’re called to be peacemakers (Math 5:9). Another thing is that we shouldn’t be confused, when talking about this subject. Both sides seem to be able to make a Biblical case for their theologies. Does this mean that the Bible, the Word of God causes confusion? No, it doesn’t: for God is not a God of confusion but of peace (1 Cor. 14:33). The root of all confusion and disagreement among the body of Christ are fallible human beings, fallible theologians in the pursuit of their own interests instead of the truth. Let’s not give the devil the opportunity to disrupt and dislocate the members of the body. We’ve got to face the challenge to keep a balance, fixing our eyes of faith on Christ and the whole Word of God and not be confused by people’s teachings. We should all be willing to seek and accept the truth with all its implications, striving for unity in the Spirit of truth. Let’s not be “tossed to and fro and carried about with every wind of doctrine, by the trickery of men, in the cunning craftiness of deceitful plotting” (Eph 4:14 NKJV). But let’s hold on to the truth in love. We shouldn‘t put our trust in what people say, but in Christ. Don’t trust me for what I say, but test it, examine it, scrutinize it, prayerfully read the Bible and make your own judgement. Even in the earliest stage of the Church, such quarrels as these were going on in the congregation of Corinth (see 1 Corinthians 1:11-13). Personal doctrines entered the church causing quarrels and division. “I follow Calvin!”, “I follow Arminius!”. People appealed to superior knowledge of salvation, to the saving power of their theology. And how did the apostle Paul respond? What matters is: do I follow Christ? Do I know Him intimately? For whatever your convictions are regarding predestination and free will, the responsibility of every child of God is to follow Jesus Christ and their destiny to become more like Him, the head of the body, who keeps all members together. The Lord appeals to us through the writings of Paul that we are to agree with one another and be perfectly united in mind and thought. So, come, let’s reason together.